Whether opening to a fresh new day or to welcome family, friends and guests, windows and doors connect us with the outside world. Recognizing that significance, President Elise Clark of Meloche Windows & Doors Ltd. aims to provide the highest quality windows and doors with integrity, personal service and friendly, knowledgeable advice. 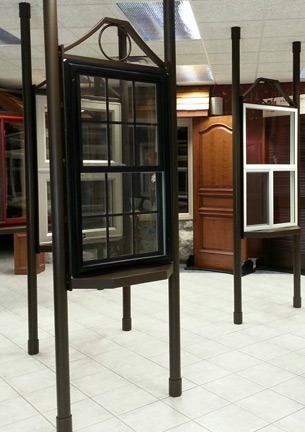 Founded by Elise’s father Bob Meloche in 1957, Meloche Windows & Doors Ltd. celebrates 50 years in the business. Catering primarily to the retrofit market, Meloche is recognized for energy efficient products that have aesthetic value and premium quality at affordable prices. Its 33,000 square foot complex, built in 2001, boasts a fabulous showroom designed by the renowned Tim & Stephanie O’Neill Harrington, allowing builders, architects, contractors and homeowners to view world famous product lines like Weathershield, Harring Doors, Baldwin Hardware and Rocky Mountain Hardware. Giving back to the community is important and Meloche Windows & Doors is proud to announce it will be offering 15 of its employees, together with product, for an upcoming Habitat for Humanity home to be built in September. “I am so proud of the legacy my father started and what we have accomplished,” concludes Elise. From design to installation, Meloche has become an industry leader by providing the highest quality, the utmost integrity and the latest knowledge in its field.